I first attended a meeting at the Aberystwyth Conference almost fifty years ago in 1964. It was Eric Alexander who was giving the morning conference addresses and I still remember an illustration he used in his message on man’s sinfulness. A circus performer had a boa constrictor. He would give the snake an order and it would rise out of its basket and slither to him and wrap itself around him from head to foot. Then he would give it another command and it would unwrap and return to its basket. Then one day he gave the second word but the boa constrictor ignored him; it tightened its grip and tightened it, though he screamed at it, crushing him to death. Sin is like that, said Eric. We think that we are in control of it, but eventually it shows us what was true all along, that sin is in control of us. Since that time many things have changed in the Conference. There were 200 attending half a century ago, and now there are 1200, though it peaked in its growth fifteen years ago. The venue has had to change as there is no church building in the town that could accommodate that number of people. It courageously decided to move up the hill to the University and Great Hall complex of buildings where those attending are all accommodated. There is no room for any more in the seating of the Great Hall. It is a good thing that the crowds have levelled out. The main pattern is the same: the four conference addresses by the main speaker are at 11 each morning; the five evenings are individual evangelistic preachers preaching on the big texts, though that has changed a little in that most years a preacher will preach on both Tuesday and Thursday nights. He is judged to have greater gifts and to be a future morning speaker and he is being tried out to see whether his ministry is acceptable to the Conference. Then a score of other meetings have filled up the week, afternoon and morning seminars, post-evening meetings for the student-aged, the adult-aged and older-aged groupings. They all have three or four such meetings through the week and there is a visiting speaker, interviews with the main speaker etc. There are two or three open air preaching services on the promenade with hundreds attending. There are four prayer meetings at 9.30 a.m. in the cinema and theatre and another large room adjoining the Great Hall. There are children’s meetings in the mornings and there is an overflow room with a large screen, but few sit there. We are still fitting into the Great Hall. Then the week-end preceding the Conference has changed as now most people arrive on Saturday. Our church holds about 280 and that number would be a squeeze, and so we borrow the much larger Welsh language Baptist Church on the opposite corner of the street which has a couple of dozen in its normal congregation and a woman minister. It does not have its own independent meeting on a Sunday in August. All three Welsh language church services come together. So two empty church buildings accommodate the two congregations of those attending the Conference. I speak at one, and two different Welshmen speak at the other meeting place. I give a series of three addresses completing them on Monday morning at eleven. The core group, maybe 500 of the Conference, return year after year and there are many happy reunions. We catch up on news. New babies are displayed. The newly widowed are given hugs of sympathy. There are always three hundred or so youngsters at the Conference which is a marvellous benison. Then as we grow imperceptibly older (as we tell ourselves) the grandchildren are developing, becoming saved young men, and they express their views of speakers and sermons with more discernment. The older ones also take part in the soccer competition. The weather is never very hot, but there might be some afternoons that encourage sitting on Borth beach and swimming in the sea – except for all the afternoon seminars! I usually end up with a few contacts given to me at the end of the week, conversations that visitors have had with folk in this town whom I diligently visit, but just one long term attender at our church, that one convert, has resulted from this – at least so far. The general disappointment is the evangelistic, big-text preaching in the evenings. It is so tough to stand there on that vast stage in a hall with bright lights shining on you. The speaker takes none of the opening prayers and readings. His very first words heard by the congregation are the announcement of his text. I know how he feels, very alone, and not with the help of a pulpit or a church building. You long to be more of an orator than you are (and there are not many of those in gospel pulpits in Wales these years). We are a more egalitarian ‘faithful’ bunch of preachers. There is not anyone remotely to be designated as a ‘pulpiteer’ in Wales these days. So that brings us to this year. I benefited from the four addresses of Alistair Begg. He spoke on personal encounters of Christ – Nicodemus in John 3, the parable of the sower, the woman of Samaria and the two men on the road to Emmaus. They all had peaks and I was always refreshed by his humour. I thought it was safe and to the point. He compared modernists to Columbus who when he set out didn’t know where he was going; when he arrived he didn’t know where he was; and when he got back he didn’t know where he had been. He spoke of an old Irish bachelor preacher T.S. Moody, whom Alistair once asked why he never had married. ‘The desirable was unattainable and the attainable was undesirable’ was his reply, adding, ‘Better to want what you can’t have than to have what you don’t want.’ I thought those sayings were neat and observant rooted as they were in a real man. Of course his preaching was far, far more than such anecdotes. 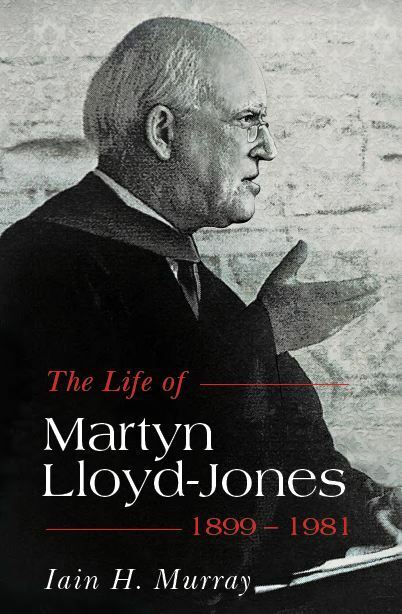 In the first sermon he laid everything out for us establishing his orthodoxy, quoting the Doctor and John Murray and Iain Murray (his ‘most helpful book’ which he recommended to the 20s and 30s group was Iain Murray’s Life of Martyn Lloyd-Jones1) and also he quoted the Westminster Confession2 while speaking of the example of Christ in speaking to Nicodemus. It was pitched exactly right for a large family conference. One thing that’s silly in the Conference is the large screen high above the podium on which is projected the speaker. The problem is that the giant figure up there above the speaker is not in synch with the preacher. That person is half a second behind the speaker, and as the preacher is often looking down at his notes the giant seems to be looking down at the speaker and imitating him. The speaker lifts one hand and so does the giant, two hands and the giant instantly copies him. The speaker looks to the right and the giant a split second later looks to the right and so on. I managed to hood my eyes and look downwards and so I could see the earthen vessel below exhorting and pleading with all his ransomed powers and not distracted by Giant Copycat. One of the evening preachers was Dr. Iain D. Campbell of Point, Isle of Lewis. On Tuesday night he spoke on Romans 7 and then on Thursday on Galatians 2:20, ‘I have been crucified with Christ.’ It was preaching of the very highest order. Humble, accessible, such a sweet nature and sorely tested in the last few years by an unusual series of trials, he was a mighty encouragement to the Conference. He exhorted the young people at the beginning of his second sermon; ‘I hope you are ready to meet him should he call you to himself in death. I hope you are not ready to meet him yet, in other words, if you are not going to die that you are going to live long useful lives in the church, that you are ready for the long haul.’ I long for him to be the morning speaker, but next year it is Don Carson, and Joel Beeke is going to preach twice in the evening. Those facts would indicate to the observant that there is a decline in Welsh preaching. Last year there was not a single preacher who was currently in a pulpit in Wales who addressed us in the nine major sessions. This year there were two, and the most we can hope for next year is two. The dynamics of the conference are the most encouraging and fascinating. A ‘gentleman of the road’ a man in his forties I guess, walked to Aberystwyth from Cornwall two months ago – about 200 miles, and in the providence of God came to our congregation and was treated kindly and generously. He has not missed a Sunday with us for the last 6 weeks and has begun to attend prayer meeting. He was welcomed by a couple of men who were attending the Conference; they fell over themselves to help him – financially as well – and brought him to a number of the meetings and paid for his entry, and he responded warmly. One gave him Pilgrim’s Progress, but he is so far illiterate. He is attempting to get a place on the adult literacy programme in September. He came on to me on Sunday night and told me that he was giving me 50 pounds to book a place at next year’s conference so that then he could attend all the meetings. ‘See you at the Prayer Meeting on Tuesday,’ he said. But he wasn’t there . . .
Gary Brady led the one of the three morning prayer meetings held before the main conference addresses. Poor Gary was struck down with a very dreadful toothache over the final weekend and no emergency dentists could help him. He swallowed pain-killers but before they kicked in after 24 hours he wept with the pain. This however had not struck him during the week. His meeting was in the cinema; a hundred attended and there was much vigorous praying. He was very struck by the godly fresh praying of a black young man from London on the first morning, but he did not pray again in the next three mornings. I went to the Open Air meeting on the edge of the promenade (the speaker with his back to the sea facing the audience). There must have been over a hundred there with men and women listening for a while before moving on. Numbers of men were giving out tracts. One had asked permission to put our church’s name and my number on the tract. I heard fine preaching from Dave Norberry. I wish I could preach like that in the open air, so relaxed and interesting. No yelling. He spoke on what a man sows that he will also reap. At the end I stood around and talked to friends; the grandson of one had just given his testimony having been converted here a year ago at the last meeting just before going off to university. Then a former student of Aberystwyth University brought to me a man whom she had been speaking to who had questions. He was a 48 year old graduate who had fallen in love with the town, married and stayed on and was now early retired I guess. He had such weird points of view, that our purpose in life was ‘to have children,’ and then there were questions about heaven. The living God is there: that is the great message of the afterlife for believers. We talked for an hour, and unknown to me there was a crowd of men and women from the conference staying in one of the seafront hotels right opposite looking at me talking to him on the empty promenade and they were praying for me. Then the next morning in the Conference I was told that they prayed for him in the prayer meeting. I have his name and we will pray for him at our prayer meeting on Tuesday. Then another ‘wonderful’ (literally) event took place on Tuesday evening. A Chinese girl was wandering around the large foyer space of the Great Hall which also is an entrance to cinemas, theatres, bookshops and restaurants. She heard the hymn singing from within. ‘What’s this?’ she asked one of the stewards with his arm bands. ‘Would you like to come and join us?’ he asked her, and in she went. Quickly a Christian woman sat next to her and the first sermon she ever heard in her life was Iain D. Campbell on Romans 7. ‘Did you understand it?’ she was asked afterwards. ‘Yes, but not all.’ ‘Do you have a Bible?’ ‘No.’ ‘Do you have one back in China?’ ‘No.’ ‘Would you like one?’ ‘Yes.’ ‘Here is one for you.’ She returned every night and then on Sunday my grand-daughter-in-law met her at the railway station and brought her to church. She is having a meal on Thursday with Sibyl and Rhodri. Unfortunately she is here only for a month on an English language course to return to post graduate studies in Germany in September. So we will find out where and put her in touch with a gospel church in the city. We were able to give her Ultimate Questions in Mandarin on Sunday night. Saturday morning was a return to reality. Just three of us men, all over sixty, stood in the town square at 10 and gave out literature and had our free book table. What conversations I had! More than ever before. One was with a Taiwanese family, and the man told me that he had been to our congregation once and ‘heard me lecture’ on a Sunday and had had a meal downstairs afterwards in the church. I was able to give Blanchard books to his son and nephew. Then I met a woman I had married 18 years earlier and not seen since. We finished and packed away the books just before a shower of rain. So the varied work of the ministry goes on.